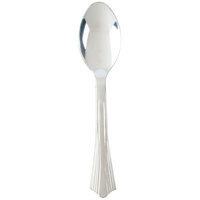 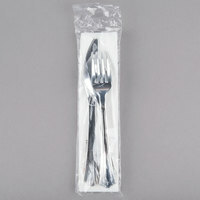 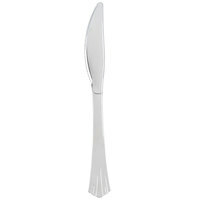 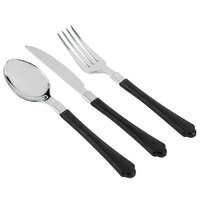 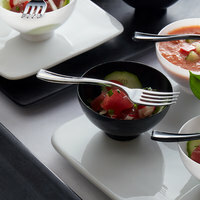 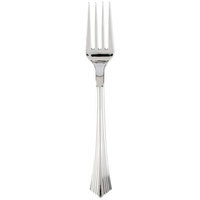 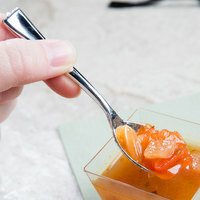 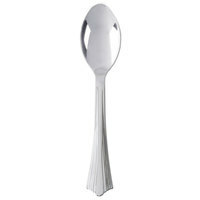 Provide your customers with flatware that is elegant and also disposable with our silver plastic utensils. 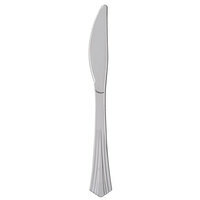 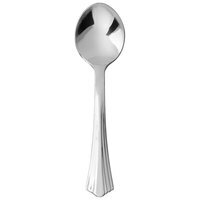 These products mimic the look and sophistication of stainless steel flatware, which makes them an excellent choice for catered events and weddings. 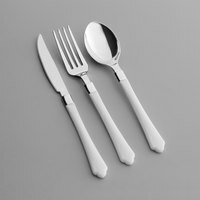 In addition to its upscale look, silver plastic spoons, knives, and forks are more durable than other types of disposable flatware, and you can serve it alongside dense foods like steak and chicken. 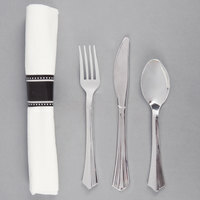 Also make sure to check out other great items from Silver Visions, Creative Converting, Fineline and WNA Comet. 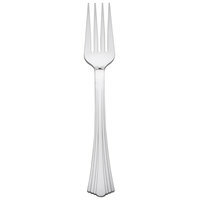 Heavy-duty silver plastic cutlery is the ideal option for use at your catered event, take-out restaurant, or casual eatery. 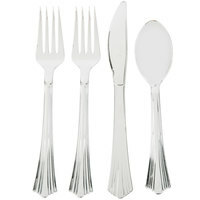 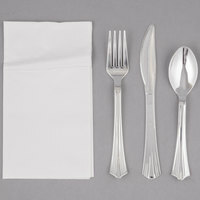 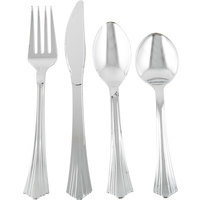 Their bright finish mimics the look of real stainless steel, giving them a more upscale and elegant look than other types of disposable flatware. 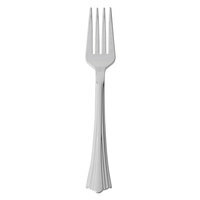 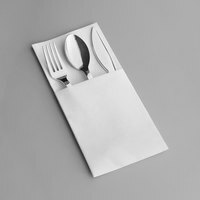 We even offer these products in bulk cases, which is an ideal option for establishments that are looking to stock up on disposable flatware. 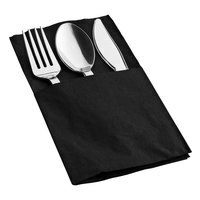 For more catering supplies, check out our plastic prep n serve totes, melamine food pans, and disposable gloves. 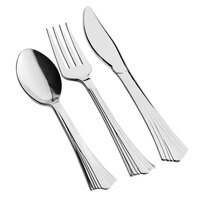 If you're wondering where to buy silver plastic cutlery, we have a large selection of silver plastic cutlery for sale at the lowest prices.